Evernote for Mac 6.0.12 & 6.0.13 were just released. Both of these versions have a number of great bug fixes. A number of fixes for Livescribe customers. Specifically there are improvements for merging and tagging notes. A number of fixes in Work Chat for Mavericks and Lion customers around selection. Added a check after upgrading to make sure everything was setup up properly. If it's not we'll notify customers that they will need to download a new version. This caused a number of people to crash after launching the app. Finally dragging Apple Mail to a note will attach the mail. We thought we had this fixed in a previous release but hadn't. 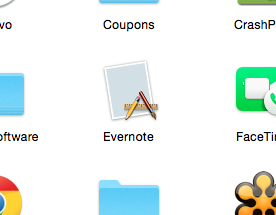 Dragging Apple Mail to the note list or Evernote icon is not supported. Fixed a number of crashing issues in the sidebar. Note that Mac App Store customer will get this upgrade as soon as we're given the go ahead by Apple. Let us know if you find any issues and thank you in advance for using these forums and helping the entire Evernote Mac community. You can download the 6.0.13 build from here. UPDATE: I had to pull the 6.0.12 release because there was an issue in China, Japan and Korea where the default font changes from Helvetica Neue to a System font. This does not appear to affect other countries or languages. We have fixed this bug and have released 6.0.13 which is starting to roll out to direct download customers now. If you don't see the automatic update but would like to get 6.0.13 now you can always click on the link above or select the Check for Updates menu item or button in preferences. UPDATE 2: The Mac App Store version of 6.0.13 has just been released. Thanks for all the bug fixes! Does this update include any changes that will address the issue with Spotlight indexing of Evernote? I know you have posted a number of actions the user can take to address the Spotlight indexing issue, but these posts are spread over various threads. Perhaps if you could repost them here in a succinct list it would be helpful to those users still experiencing this issue. I might also suggest an EN KnowledgeBase article on "Troubleshooting Mac Spotlight issues". This release doesn't have any fixes related to spotlight search. All of those changes went in 6.0.9, 10 and 11. Great suggestion regarding the Knowledgebase article around spotlight that goes over all of the methods for troubleshooting in a single spot. Let me speak to our Mac support person about it more. Thanks for the suggestion. There was a search bug where deleting in the search box after a search would sometimes inadvertently delete the note. The issue was that the selection was actually the note and not in the search box. The note was never really deleted but instead was in the trash but this could still feel like a note getting randomly deleted. We just fixed this in 6.0.12. I'm not sure if it's release-related (but we only just encountered it today) - that we cannot use a tag that already exists in our Evernote Business account. We get a "Names Must Be Unique" error message. I can add it to personal notebooks but not business notebooks (and double-checked through admin console that it is, indeed, a business tag). This may be because of the new release. Let me investigate further. I just noticed the below EN Win Beta update that includes some very significant sync improvements. Have these already been incorporated into EN Mac? If not, will they be? A new beta version of Evernote for Windows is available. You can download it here. Yes, Mac was the first to incorporate these changes. Mac has had them for awhile. Evernote for Mac 6.0.12 was just released. This version has a number of great bug fixes. Let us know if you find any issues and thank you in advance for using these forums and helping the entire Evernote Mac community. You can download the 6.0.12 build from here. UPDATE: I've had to pull this release because there's an issue in China, Japan and Korea. Basically the default font gets set incorrectly. This does not appear to affect languages where the browser defaults to Helvetica. If you're not in one of these Asian countries 6.0.12 is still a good solid release so please feel free to download it manually from the link above. We'll ship a new 6.0.13 release soon with just a fix for Asia. I was just about to post that the neither Ver 6.0.12 in-app update nor the Evernote.com download link are providing a link to this version. From Evernote.com I get: "Evernote_RELEASE_6.0.11_451580.dmg"
I did not see your update to the OP of this thread until I did the quote. So maybe it's useful for me to go ahead an post this. The link in your post does work as expected. So since I am in the US, I will download and install from it. I am sorry to report that this bug still has NOT been fixed. It was a NEW bug introduced by Ver 6.0.6 in Feb 2015. Evernote Support has reproduced/confirmed the bug. NOTE: I'm not talking about code syntax coloring (which would be nice, but not crucial). It used to preserve indents and now it doesn't, which seems like a major regression. I have submitted a Ticket to Evernote, and they have confirmed the bug. Thank you for contacting Evernote Support. I'm Ben, and I will be helping you. I really appreciate you taking the time to report this loss of indentation while pasting code from AppleScript into Evernote. I was able to reproduce this issue easily and I reported it to our product team for resolution. I’m not sure when the issue will be resolved. I seem to recall this particular bug was going to be addressed sooner than later. Oh well, I was hoping to upgrade from 6.0.5 but the formatting issue is still a deal breaker for me. Are you sure that the indentation issue exists in 6.0.12? I can't reproduce it anymore. Where are you pasting from? Edit: Tried rebooting and it didn't make a difference. Bryan, this means the app is corrupted and didn't download or get set up properly. You'll need to re-download it from our web site. I'll reach out to you directly to see if we can figure what's going on. Pasting from AppleScript Editor. This is a very consistent bug. Happens on all my Macs, and in all EN versions since 6.0.6, including 6.0.12. Note that you have to sync after the paste, then click on another note, then click on the original note before the indents are lost. FYI: We have just released 6.0.13 and this will be slowly trickling out to all customers. If you aren't seeing the automatic Upgrade message, you can always click on the link in my first post or select the Check for Updates menu item or button in preferences. Lets use this same forum post for all issues related to 6.0.12 or 6.0.13. Thanks. @Marcus: Thanks for the quick fix. Cannot paste some json string. I am really frustrated to report editing bugs for all your new releases. You guys really don't understand what's your core value to your customers. @javalife, where are you getting the json string errors? I might be wrong, but I think he means he is trying to paste some json and it's not working. What app are you doing the COPY from? I copied some json string from Iterm2, Android Studio, and paste to evernote. From time to time, it just cannot be pasted. But I can paste it to other editors. Tables no longer paste right from excel or google sheets. I attached a picture of how it is now compared with how it was before the update. And another Bug with Tables has been introduced with 6.0.12/13. What would you recommend me to do as a Premium customer? Until now i did install new releases as soon as they were available, because they solved problems i was encountering. And it do not get the impression that this situation is improving! 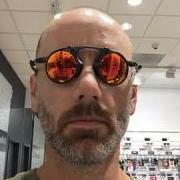 Don't know if this is the place for bug reports or not but I found one a few minutes ago. Every time I scroll a large white box flashes up for about 0.1 of a second, every time. It's not incredibly annoying but a future bug fix would be much appreciated! Update: I finally was able to click the "x" (Delete all) button on the search line, and saw the two search words clear, before it crashed. When I restarted EN, it began working again. So, it looks like there's a bug related to this (if the EN support team can reproduce it). Now, I just need to hit that delete button on the other Mac, which also had two keywords in the search field. Please fix this, if you can reproduce it -- I'm afraid to try searching again and leaving the search words, but will try it out when I can. I can send my log file to someone, if it will help. Unfortunately copying and pasting tables does appear to have broke in this release. It doesn't appear to occur if you create a table from scratch and copy and paste it but does for some reason on tables in existing notes. We're looking into this. The Mac App Store version of 6.0.13 has just been released to customers. Paste of tables from MS Word (which I depend on greatly) and Excel was also broken by Ver 6.0.13. Worked fine in V6.0.11. This is *definitely* a bug in 6.0.13. When I was able to quickly click on the delete button on the "Search notes" button on my new MacBook, and saw the search term (this EN only had one search word in the field), it still crashed (like the other Mac), but on restarting it worked again. Paste of a Table from MS Word 2011 Mac worked perfectly in EN Mac 6.0.11, but was destroyed in Ver 6.0.13. This is a MAJOR bug, IMO, because the EN Mac table feature is so limited and hard to use, that well over a year ago I developed a number of templates using Tables from MS Word. Copy/Paste of Tables within EN Mac is broken. Paste of Tables from Word is broken. Paste of a block of cells (i.e. a table) from Excel is broken. We get it that the Evernote CEO Phil Libin does not like, and has forbidden the use of, Microsoft Office for internal use at Evernote. However, Evernote should recognize MS Word and MS Excel are by far the most widely used word processor and spreadsheet apps in the World. And that is not likely to change any time soon, regardless of what Evernote does. ATTN Evernote Management: You will get and retain far more customers/users if you fully support the copy and paste between MS Office apps and Evernote. Does 6.0.13 fix the issue of merging notes being merged in the order from newest to oldest rather than in the order you selected them before merging? Seems a broader and more diligent set of beta testers is in order, or if they exist, EN should use them. I know on the iOS version occasionally a build gets published before beta testers get it. Still NOT fixed. Merge order is the current sort order. Bleh. Thanks. I understood that was fixed in a beta version but maybe it hasn't made its way to the app store. I don't see it as an AppStore issue. The version I tested was the DirectDL, not AppStore. I understand. I just mean whatever that beta feature is that fixed it may not be released. Either that, or the person that told me it was was wrong. Here is the post. I have played with a bit, it seems to be hit and miss. Sometimes it does work, sometimes it does not. This is major headache if you have gotten used to just make sure your notes are listed in the way you want them to merge since this is not realiable anymore either. Edit: This was in the latest version direct download version (6.0.13). Thanks. Right now, I just group all the notes I want to merge into another notebook, then merge them when I am around my Windows PC. That way I know it works. I would endorse this bug, really expect Evernote could put this one to the highest priority, and resolve it asap. This 'table copy/paste' bug occurs not only with WS-Word, but also with any html table in any browser. Unacceptable. Margins - The right margins are cut off when I print notes. Scale - The scales seems to decrease when I print. When printed, it basically looks like the note has been zoomed out. Was this something related to this update? This issue is not just from MS. I had this issue copying a table from Mingle and from Google spreadsheet. So it is a more general table copying problem. To add yet further: I cannot paste pre-existing tables within Evernote. Like if I have a table in one note to bring to another, it shreds the formatting. Brutal to a workflow I've held tight for a year now. I am unable to copy in JSON as well. I am on Evernote for Mac Version 6.0.13 (451658 App Store). It was working fine with previous release. Are you having any news when we get a fix for this really annoying table bug you introduced with 6.0.13? I can barely use Evernote since 2 weeks because i heavily rely on tables! All, got word from Evernote support regarding tags. 6.0.13 drops support for tagging notes created with AppleScript !!! My complete workflow of about 150 PDF's a day is totally down now!!! Please fix as my work is piling up !!!!! This is a critical bug. It breaks an essential function for me (and I think it's reasonable to assume, many others). How do I roll back my Mac app (direct download or App store) to the previous version? I think there are many Evernote users, or potential Evernote users, who need copy/paste to work well between Evernote and the MS Office apps. Evernote: You make a beautiful product. It's clean, well-organized, and highly available across platforms. However, I just can't handle the formatting issues anymore. Copying from my notes-taking app into any number of Microsoft Office applications is a must for me. Also, more often than not, the font size changes drastically. I have been holding out for a year or so waiting to see if a fix would be offered, but Evernote's product development focus seems to be on keeping users within the Evernote universe (work chat, shared notebooks, etc.). I mean, I guess it makes sense, why would you want to make the process of someone taking content out of Evernote more efficient? But unfortunately, playing nicely with other apps (ESPECIALLY an app as ubiquitous as Microsoft Word) is on my must-have list. So, I'm off to find Evernote's replacement. I don't often use MS Office. For me, this is a critical problem due to the fact that it breaks Google Docs/Sheets interaction. I am honestly not sure how much EN cares about Office. They obviously despise Power Point and have fooled themselves into thinking EN presentation mode is an effective replacement for PPT, kinda like my PowerWheel is an effective replacement for my car. I think I've heard Phil make some derogatory comments about Word and Excel too as they are too powerful and feature rich bloated and shouldn't be used as much as they are. I mean, even before this latest Copy/Paste issue with tables, just look at how many settings and tweaks you can do to a Word table, and how none really exist for an EN table. No one should have that kind of power. Use the right tool for the right job. EN has it place to be sure. Word is a horrible note taking app. I just don't understand the animosity against Office by EN senior management. Actually this bug break any basic html table, not just Google Docs/Sheets. 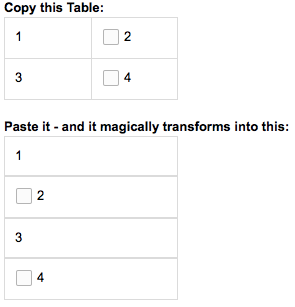 @evernote: You may try to copy the table in below link into an evernote note. If the management team still blame it on MS Office, I do not mind to quit my evernote premium account. Shame on you, what a stupid! Evernote is not anti-MS Office. Microsoft Office is used by over 120M people around the world and is a critical productivity tool for a large majority of the world. I personally worked on MS Office for over a decade of my life. The bottom line is we shouldn't have missed the copy and paste table issue and other recent note editor regressions. We've taken a hard look at our processes and I think we've got a plan in place that will greatly improve the quality in this area. Today we plan on shipping 6.0.14 Beta that will include fixes for both the copy and paste table issue and encryption fixes. We're going through our final test passes both automated and manual testing and as long as we don't find any issues we'll release the beta today. Stay tuned. I'll post an update once we release. Evernote is not anti-MS Office. It is very good to see you state that, Marcus. I do hope to see EN Mac and EN Win working quite well with MS Office very soon. This would include copy/paste in both directions. FYI, while the paste of Word tables was just broken by EN Mac 6.0.13, the paste of Excel cells as a HTML table into Evernote has never worked well. I'm sure you can see the huge benefit of making a paste from Excel work well. Clearly, Evernote will never replace Excel, but many of us use Excel for simple and complicated financial models, which we then need to copy the results section and paste into Evernote for a variety of reasons. Thanks, and I look forward to the improved quality of EN Mac. Marcus, it is indeed good to hear you say that. I am not sure you'd hear that same message listening to Phil on the December podcast as riffed a bit on PowerPoint. Looking forward to the update. Unfortunately, I am on an AppStore version, so I am probably a week away. Just found out that this doesn't only break the initial paste from an external app into Evernote, but it also breaks subsequent copy/paste from an intact table (pasted from external app while using a previous Evernote release) into a new note. If you have not already done this, may I suggest that you setup standard copy and paste tests (in and out of Evernote) with tables in the following sources. These tests MUST be performed as part of EVERY update testing, whether or not any changes were made to the Evernote editor. Cells with text font-face and font-size different from the EN Mac account default. Cells with text font-face and font-size the SAME as the EN Mac account default. Tests should also be made with round-trip copy/paste, copy/paste. IOW, for example, copy table from Word, paste to EN, copy table just pasted and paste back into Word. select back to the test note, the evaluate. I include this because I have found that the formatting of the Note sometimes looks OK immediately after a paste, but then loses some formatting (like indents) after sync & switching to another note. My apologies if this seems like testing 101, but since Evernote has failed to do proper testing in the past, I feel compelled to spell it out in detail. We just shipped 6.0.14 beta. Read more about it at: https://discussion.evernote.com/topic/85595-evernote-for-mac-6014-beta-released/. Also, JMichael thanks for the great copy/paste test cases. Before 6.0.13 copy paste notes text (simplified formatting) from Evernote to UserVoice (or any other webpage with an editor) worked just fine. Text, links, editing - everything was perfectly movable. With a new version I also get all formatting (bunch of <span style="font-family:'Helvetica Neue';font-size:14px;"> tags) which makes my work unbearable. I can't convert Evernotes's notes to plain text since I have bunch of URLs, but removing extra formatting tags is even worse. Please revert the changes so copying note's text would again be usable. Still can't decrypt my encrypted notes, have to use my phone or the web app. It's what two updates in a row where this is no longer working? This is not giving me a lot of confidence in your security or development practices. We fixed the encryption issues. Can you work with support to figure out the specific issue you're running into? I believe we can't correct encrypted text that is already in a weird state. You'll need to get it back to a normal state and then everything should work fine. The problem I have with that answer is that it decrypts fine on my phone and on the web app. I have written several apps that use encryption so I'm really curious about this and why I really don't have a warm fuzzy feeling about this. I have the same problem. Everything works fine on iPhone 6, iPad Air 2 and web. When I'm working on my Mac Yosemite (10.10.4) I cannot open decrypt my note. Evernote (6.0.13) allows me to write the password but nothing happens after that. Do you know someone fix it?